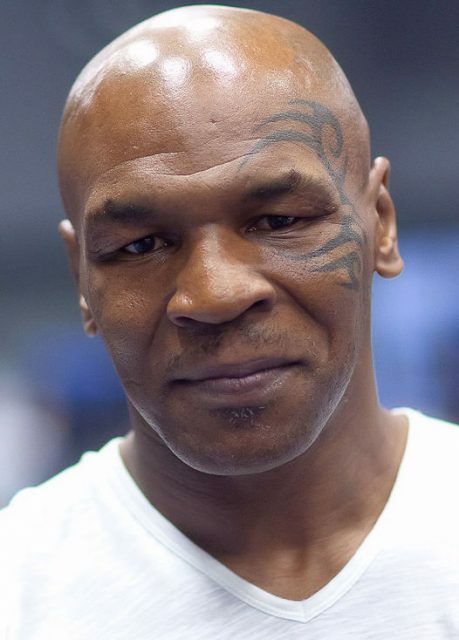 Former heavyweight boxing champion Mike Tyson fought his first professional match at the age of 18. On November 22, 1986, he knocked out Trevor Berbick in the second round of the WBC heavyweight championships to become the youngest person to win a heavyweight belt, at the age of 20. He would go on to win 50 out of the 58 fights of his professional career in the ring. His youth was peppered with petty crime and involvement with street gangs, however, during a stint in reform school, he was spotted by Cus D’Amato. The renowned trainer not only gave his life focus but went on to become Tyson’s legal guardian when his mom died in 1980. 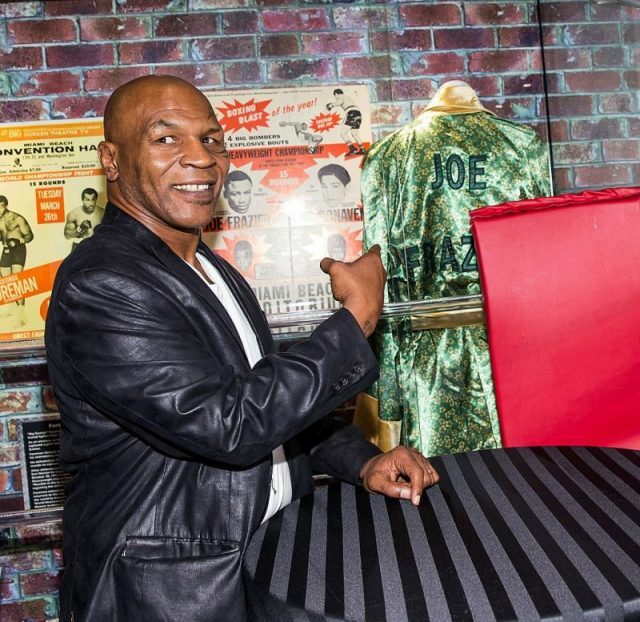 By 1988 he reached the top of his boxing career and earned the nickname “Iron Mike” after the unforgettable match against Michael Spinks whom he knocked out in the first ninety-one seconds of the first round. At the time, Tyson was already considered a celebrity and he indulged in the perks of being one, spending lavishly on cars, mansions, clothes and other commodities. In the 1980s, he bought and moved into a 13,500-square-foot mansion in Southington, Ohio. His Ohio mansion included five bedrooms, two kitchens, three cages for his Bengal tigers which he bought for $70,000 each, and an extra large swimming pool. The rooms were quite spacious, with luxurious decor, from crystal chandeliers to zebra-print carpets. Each room had a high ceiling and was lined with wood to give the interior a Scandinavian look. 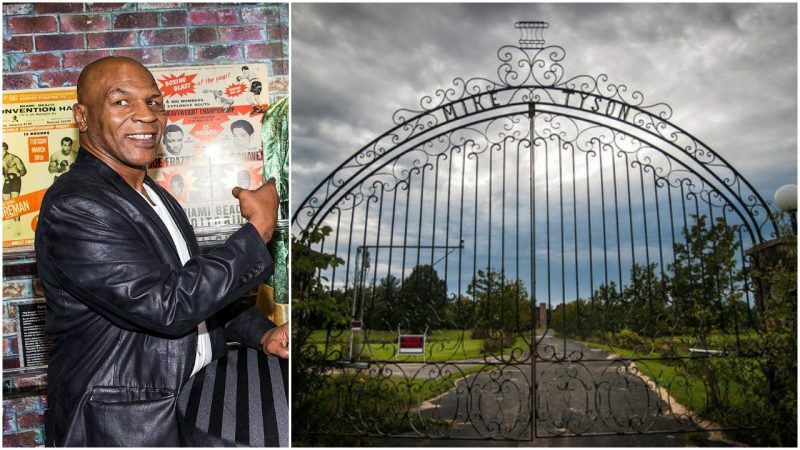 Tyson called this “modest” abode home until March 26, 1992, when he was arrested and later sentenced to six years in prison on charges of sexual assault. 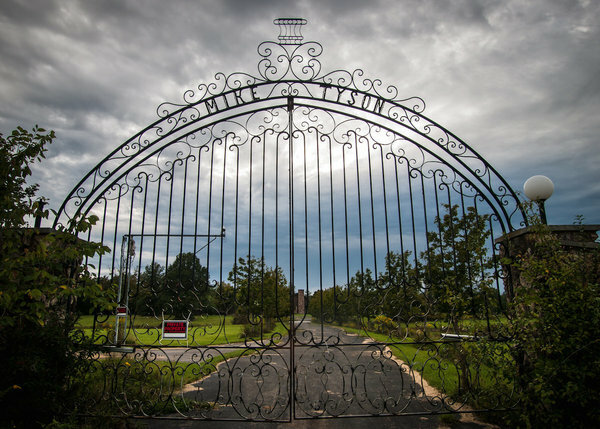 Tyson was sent to the Plainfield Correctional Facility, then known as the Indiana Youth Center, and was released in 1995 after serving three years of his sentence, at the age of 28. He returned to the ring, but lost his boxing licence for 15 months after biting opponent Evander Holyfield in the third round of a title fight on June 28, 1997. Two days after the first hearing to reinstate his licence in August 1998, which didn’t go well for Tyson, he earned another year in prison for assaulting two persons following a traffic incident. After his release, Tyson faced serious financial problems. In 2003 he was officially bankrupt and publicly announced to be “totally destitute and broke” which led him to sell the Ohio mansion. 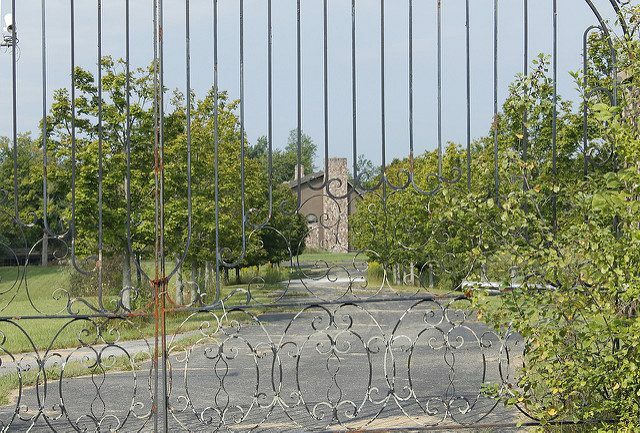 The estate was purchased by entrepreneur and businessman Paul Monea for $1.3 million, though this owner never lived in the mansion due to a money laundering affair. Several years later, Monea put the mansion up for sale and, in order to sell it more quickly, offered a rare diamond with it, known as the Golden Eye. The whole package was on sale for a reported amount of $20 million. Meanwhile, the FBI set up a sting against Monea and finally arrested him in 2007. Monea pleaded guilty to charges of money laundering, involving the “planned $19.5 million diamond and real estate sale.” He was sentenced to 13 years but is expected to be released later in 2018. The mansion caught the eye of another owner, health-club entrepreneur Ron Hemelgarn, who bought the estate in 2010 for only $600,000. A team of professionals restored the mansion and removed a great part of its interior. 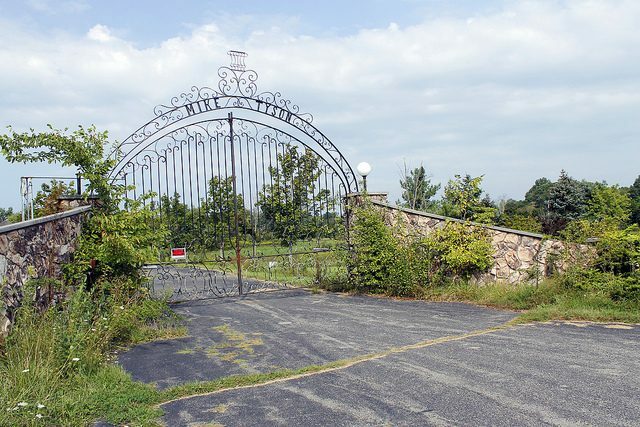 Like Montea, Hemelgarn also never lived in the property, so in 2014, he decided to donate it to a fledgling church, the “Living Word Sanctuary.” According to some reports and speculations, the estate was not donated but sold. The Living Word Sanctuary planned to turn the mansion into a retreat. The swimming pool was reimagined as a sanctuary while the basketball court was supposed to be a child-friendly picnic area used for school trips and visits. Dejacimo also revealed that the great room of the mansion is planned to be a venue for weddings and other special occasions while the living quarters will be transformed into offices. Interestingly, Dejacimo added that they plan to keep the details around the fireplace where Tyson kept his championship belts.